The Philippines is a chain of 7,641 Pacific islands in South East Asia, and is a strategic location for naval invasions. It is also a puppet of the United States. The Philippines was once part of Spanish territory for over 300 years before being ceded to the United States due to the latter's victory of the Spanish-American War which led to the Treaty of Paris (1898). The Commonwealth of the Philippines was the administrative body that governed the Philippines from 1935 to 1946. The Commonwealth was formed to overlook a ten-year period of peaceful transition to full independence. The Philippines was then taken by Japan and formed a puppet nation called the Second Philippine Republic, which had really no power against the invading Japanese forces who occupied it for three years (1942-1945). It was liberated by U.S forces in 1945. 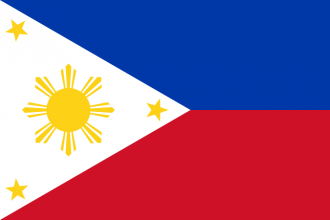 The Philippines gained independence on July 4, 1946. The "Capture of Manila" event triggers when Manila is taken by an invading force. The Philippines, lacking a unique national focus tree, uses the generic national focus tree instead. The Philippines does not start out with any national spirits but some can be gained from its generic national focus tree. Since the Philippines is a puppet, it has little to no diplomatic freedoms. Have a good strategy for Philippines? This page was last edited on 3 June 2018, at 21:46.